Spring is coming closer and closer and it’s time to think of the outfits you are going to rock. 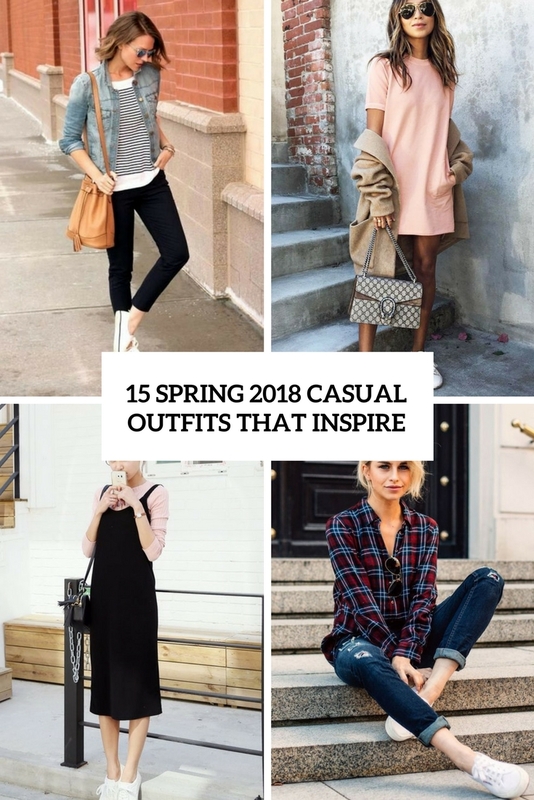 We are ready to share lots of trendy ideas, and the first roundup is dedicated to casual looks you can wear with comfort and look stylish at the same time. 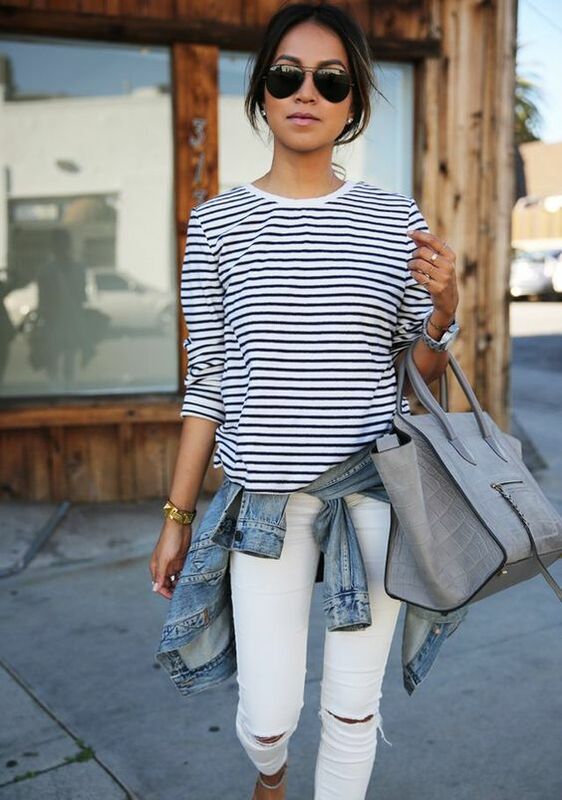 Jeans are the most casual thing to wear and for a comfy spring look you can wear them with a long sleeve, a top, a shirt or a tee and if it’s cold, add a chambray shirt, a bomber jacket or a leather one. as for shoes, I strongly recommend sneakers as the most comfortable shoes but you can also go for slip-ons, flats and trainers. Cropped pants are also very nice to wear in spring, you can pair them with a light top and add a long and stylish cardigan. Skirts are welcome to create casual yet girlish looks! Wear a midi skirt or a midi overall with tee or a long sleeve, add sneakers and a leather or denim jacket if necessary. You can also go for a t-shirt or shirt dress with slip-ons and a long cardigan for a stylish look. Enjoy!